Internet has become an essential part of our daily life. And so does our children, However, parents may worrying about your children wasting too much time on some websites, viewing objectionable webpages or even sharing personal information on social media with strangers. At this moment, parts of parents will want to restrict the children’s access to such website, but they got no clue to do that. Then the following methods may help. Educate the children about the dangers of sharing personal information on Internet with strangers or viewing immoral web page. And communicate with children about their thinking of surfing Internet regularly. Parents can place the computer in the living area of your home from where you can easily see the monitor so that you’ll have some idea about the page your children are viewing on computer. However, we can not always by the side of the children. At this moment, how can we prevent them from such kind websites? 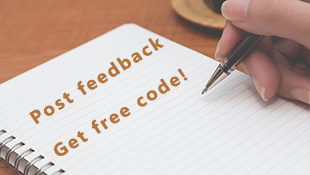 Download the free version and follow the block steps now! 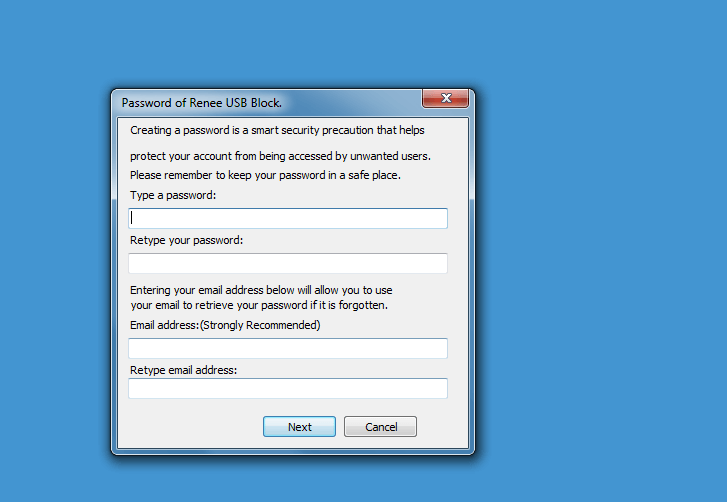 The first time we use Renee USB Block, we will be required to set the password for Renee USB Block. This password can help us prevent others change or delete the locked websites without authorization. 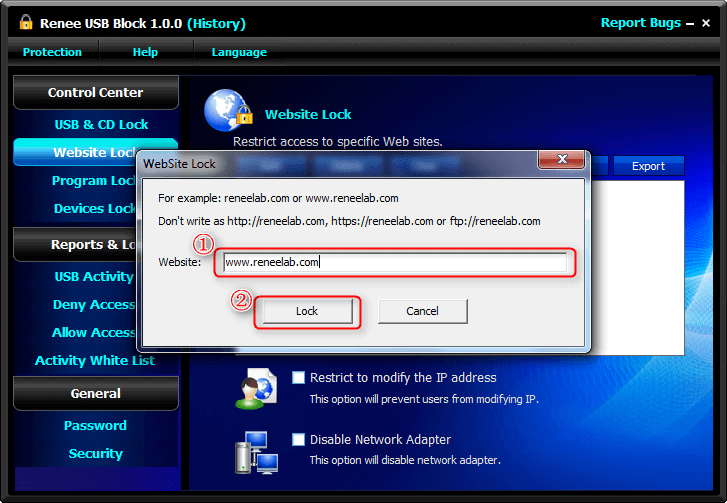 Step 1: Launch Renee USB Block and click “Website Lock” in “Control Center”. Then please click “Add”. Step 2: Follow the examples and add the target link in the blank place. And then click “Lock”. 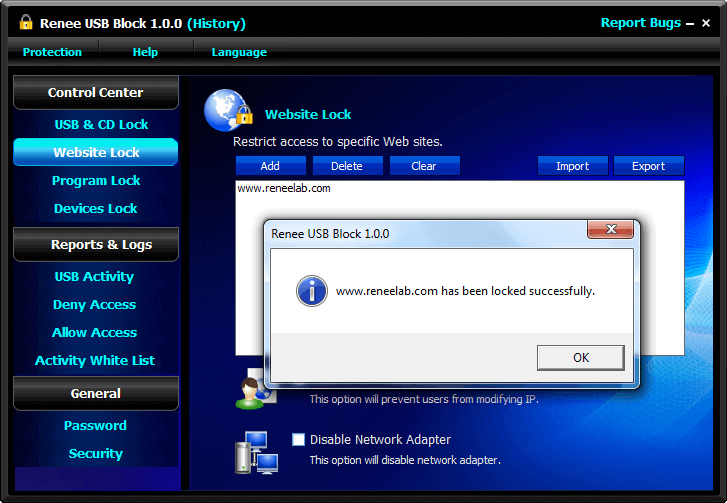 Step 3: Then Renee USB Block will notify you the result. If you do not want to lock the website any more, you can select the target website or even click “Clear” to delete all the links. 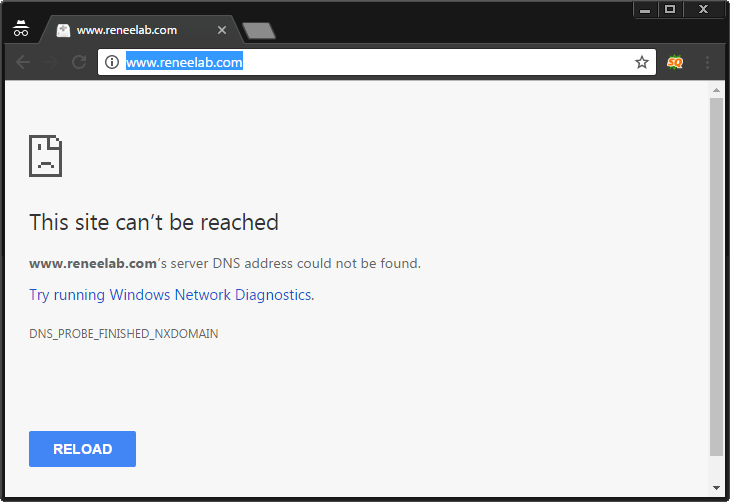 Step 4: When you want to visit the locked website, it will show that the site can not be reached. Still worrying about your children visiting objectionable websites or wasting too much time on social websites? Why not try Renee USB Block? Free version is available now!